I found a recipe today while looking for a new way to cook pork chops. I adapted it slightly but wanted to share it here as my family devoured the entire thing. The original recipe can be found at "All Recipes"
The following recipe will feed six but fed 2 hungry men and myself. 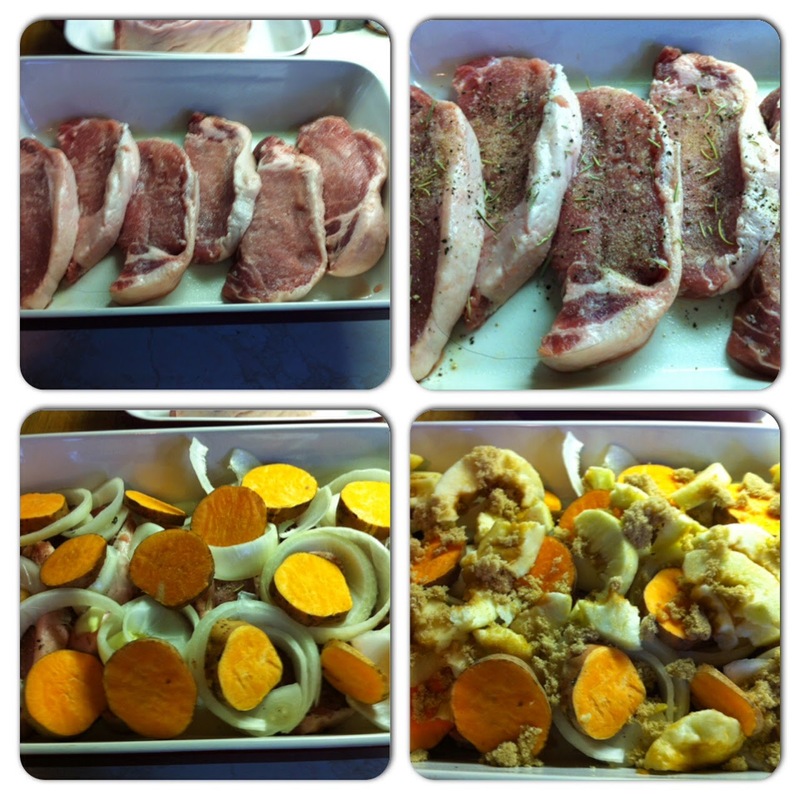 Lay out your pork chops in the bottom of a large casserole dish or baking pan. Season with garlic, fresh ground pepper, and dried rosemary to suit your taste. 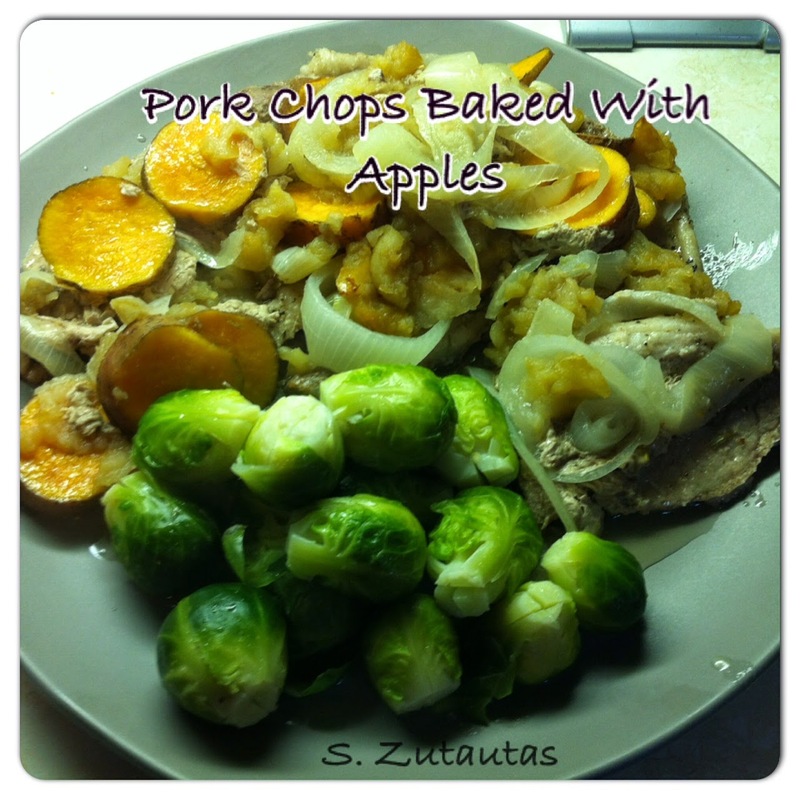 Top with onion slices, sweet potato, apple slices, and sprinkle all over with the brown sugar. Cover and place into the oven for 50 minutes or until done depending on your oven. 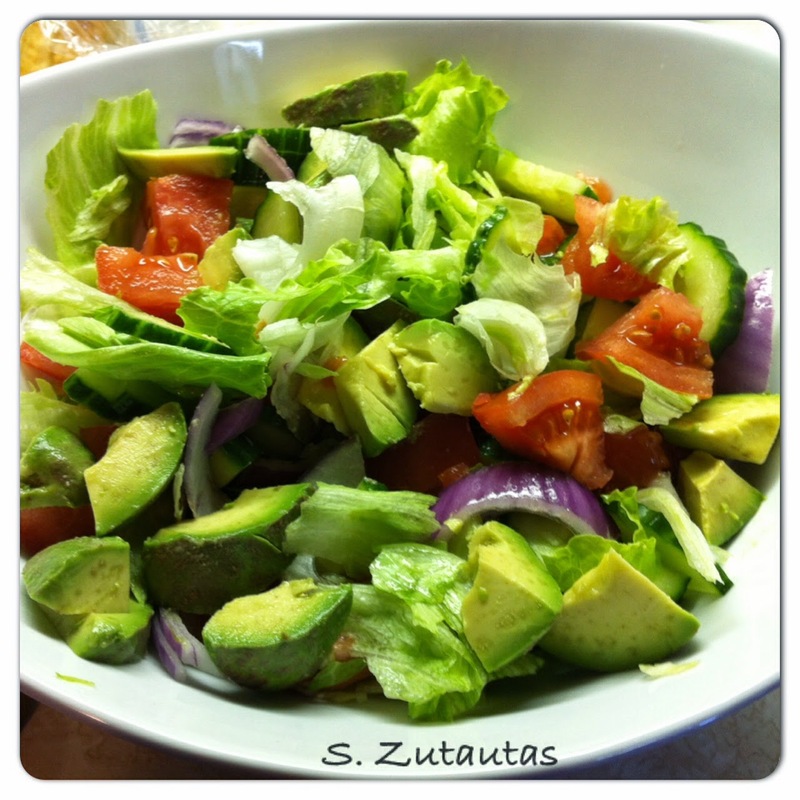 For side dishes I made steamed fresh brussels and a side garden salad. Oh I love the added sweet potatoes to this recipe. It sounds so yummy! It is a must try.